Regional aircraft lessor, TrueNoord’s chief executive officer Anne-Bart Tieleman, speaks to Jack Dutton about the CRJ programme and why Embraer is still selling loads of E1s. Coming to market with a new aircraft, the CRJ550, at the start of February was a smart move from Bombardier, according to the chief executive officer of regional aircraft lessor TrueNoord. The Canadian manufacturer launched the product, which will have 50 seats in three classes, with US carrier United Airlines, committing to 50 units. Tieleman says Bombardier may get more appetite from other US airlines because it is “very scope clause-minded”. He adds that TrueNoord would consider the aircraft in the future, but will not until there is more technical information available, such as costs and the secondary market footprint for the aircraft. “It works in the US, but does it work somewhere else? I don’t know. That is something for Bombardier to explain,” he adds. Bombardier says there is a market for the CRJ550 of more than 700 aircraft, and Tieleman thinks this is a realistic forecast. “You’d be surprised if you see how many CRJ200s and Embraer ERJ135s and ERJ145s still fly, especially in the US. It sounds like a lot of aircraft but I guess they’ve done their homework, so it doesn’t surprise me.” He adds this is also the case with the Airbus A319, of which many are flying in the US. lease of life into the CRJ. He has already been impressed with the Canadian manufacturer’s efforts at selling the Q400s and CRJs since it sold the CSeries. Some of Bombardier’s larger business jets have very similar airframes to the CRJ, meaning that the original equipment manufacturer can produce the CRJ on the cheap. When it comes to the CRJ900’s main competitor, some of the smaller aircraft in the Embraer E2, Tieleman is slightly sceptical, because E1 orders still show strong momentum. Despite this, Tieleman is interested in acquiring the aircraft to help grow TrueNoord’s portfolio. The lessor has 20 E1s out of 31 aircraft in its fleet, according to Airfinance Journal’s Fleet Tracker. The current economic environment and the relatively low price of fuel could be factors as to why the E2 is not gaining as much transaction as originally expected. Scope clauses also play a role, because the E175-E2, the family’s medium-sized model, has not been certified. Issues with the geared turbofan that powers the E2s may also cause hesitance, though the engines on the E2s are not showing the same difficulties as the ones on the A320s. 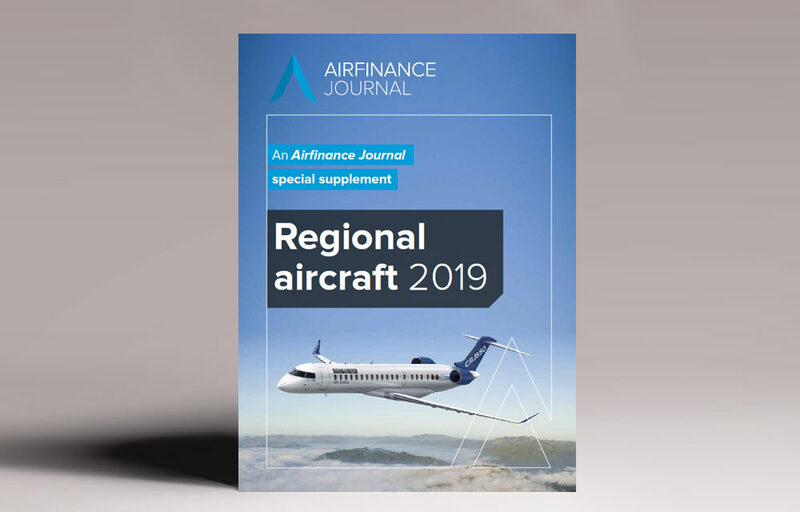 This article was published in Airfinance Journal, March – April 2019 issue.